Garden Acupuncture now provides availability for appointments each and every day for the utmost care and convenience possible for its patients. Providing the local community with quality holistic care is Garden Acupuncture's goal. 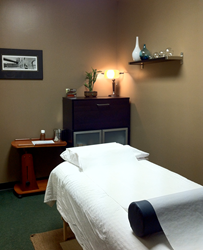 Providing the local community with quality holistic care is Garden Acupuncture's goal. That is why the practice has expanded their availability to every day, even Sundays. The office also has added more acupuncturists with varying specialties, which means individualized treatment catered to the needs of each person. Garden Acupuncture believes that access to treatments each day of the week means improving the experience for the patient and contributing to the health and well-being of the community. Specializing in fertility medicine, weight loss, allergies, pediatrics, pelvic pain, dermatology, and facial rejuvenation using acupuncture, Chinese herbal therapy and nutritional counseling.